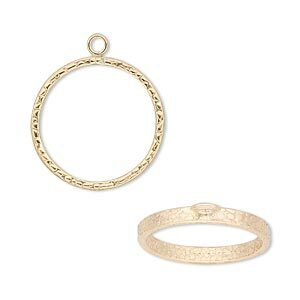 Ring, 14Kt gold-filled, 2.5mm wide textured band with closed loop, size 6. Sold individually. 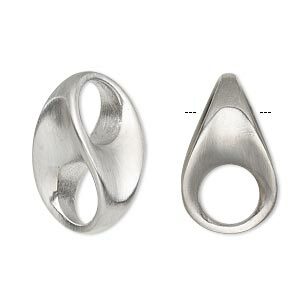 Ring finding with loop for attaching beads, charms and other components or using with bracelet components for bold dangles. 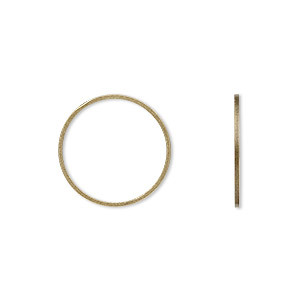 Component, antique brass-plated brass, 12mm open flat round with 6.5mm hole. Sold per pkg of 20. 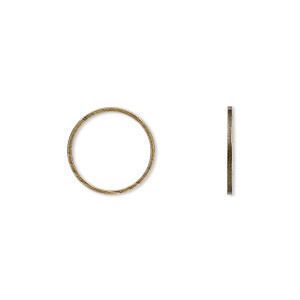 Component, antique brass-plated brass, 14mm open round with 12mm hole. Sold per pkg of 20. 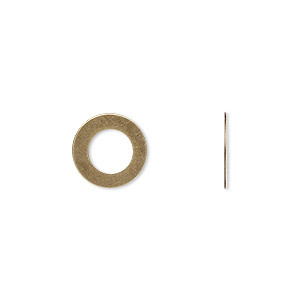 Component, antique brass-plated brass, 15mm open flat round with 9.5mm hole. Sold per pkg of 20. 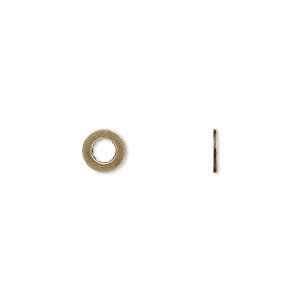 Component, antique brass-plated brass, 15mm open round with 11.5mm hole. Sold per pkg of 20. 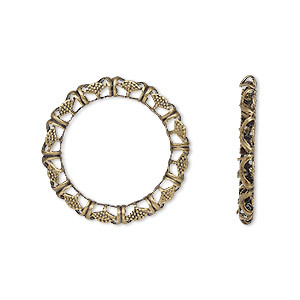 Component, antique brass-plated brass, 16mm open round with beaded and wrapped design, 12mm hole. Sold per pkg of 10. Component, antique brass-plated brass, 18mm open round with 16mm hole. Sold per pkg of 20. 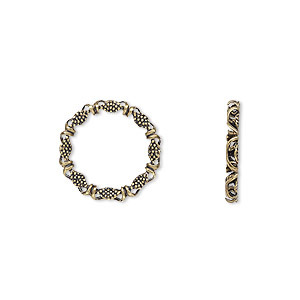 Component, antique brass-plated brass, 23.5mm open round with beaded and wrapped design, 16.5mm hole. Sold per pkg of 10. 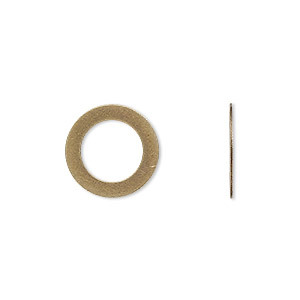 Component, antique brass-plated brass, 7mm open flat round with 3.5mm hole. Sold per pkg of 20.